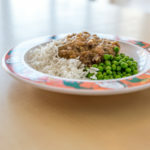 We believe in providing home cooked, delicious meals every day and encourage the children to take a healthy interest in food. Each nursery has a vegetable planter where the children sow seeds for peppers, courgettes, beans, potatoes, strawberries and more. These are then harvested and used by our Cooks in nursery meals. Our Autumn/Winter and Spring/Summer menus and are always packed with new ideas and seasonal fruit and vegetables. The children enjoy breakfast, a 2 course lunch, high tea and a 5 o’clock snack. 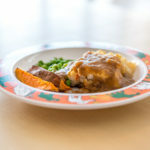 For babies and little ones we provide a puree and mash menu to ensure your child is enjoying foods for the correct stage of their development, older children are encouraged to self serve at the table to allow independence. 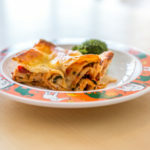 Our menus are checked, adjusted and approved by a Nutritionist. 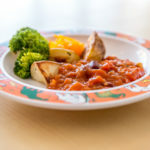 Take a look at our Seasonal Menus to see some of the delicious dishes your children will be able to enjoy while at Acorns: Winter Menu, First Tastes Menu, Second Stage Menu. All of our nurseries hold Gold Standard Healthy Snack Awards. During our 5 o’ clock snack time, the children watch the food being prepared and learn about the different foods served while they eat. 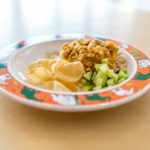 This helps to get the children interested in nutrition and healthy eating. 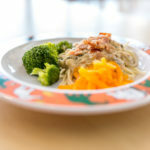 You can now try some of the tasty meals your child enjoys at Acorns at home. 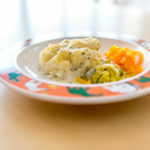 Below are a sample of the children’s favourite recipes.